Yes, this is big real hot news from many large webmaster communities, not rumor. Google updated the PageRank (PR) from yesterday (June 27), although there’s still some dancing PR changes to a few of sites; but now you may check new PR for sites. 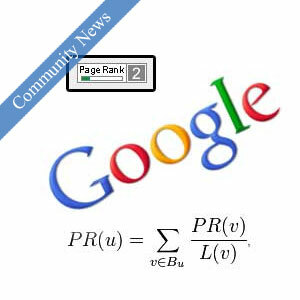 PR is one of more 200 factors Google used to rank our web pages. PR doesn’t effect SERP (Search Engine Result Page) as much as we hope. We can check PR of URL, website, blog by Google Toolbar or live-PR checkers. PR Updates/Changes: this is still mysterious because we can not know/predict when it shall happen / happening; we can only know the last result when it happened. For each PR change/update, there’s always many webmasters, site owners are happy with their increased PR, and others are disappointed by decreased PR; because this is the game they do not know how to play for winning. That’s things I want to share with you about this PR update, please share your opinions with us. yup it’s true i totally agree with you …. so your PRs increased / decreased? I also got PR 2 for my blog…. wow, congrats, can u show your blog? many many thanks. i am new blogger. i all ways try google pr for my site. please tell me how to grow up my site quickly.